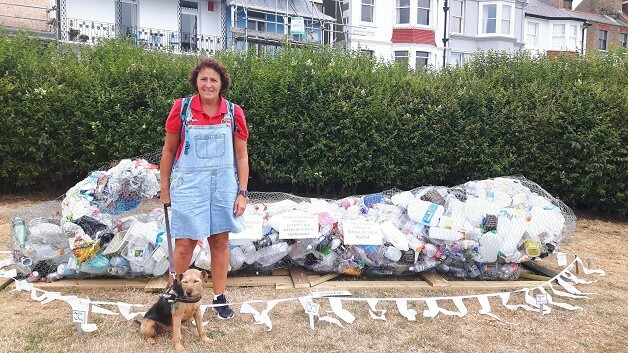 A 4.4metre whale made entirely of empty plastic bottle, cartons and bags will accompany a ‘rubbish’ float in Sunday’s Ramsgate carnival parade. 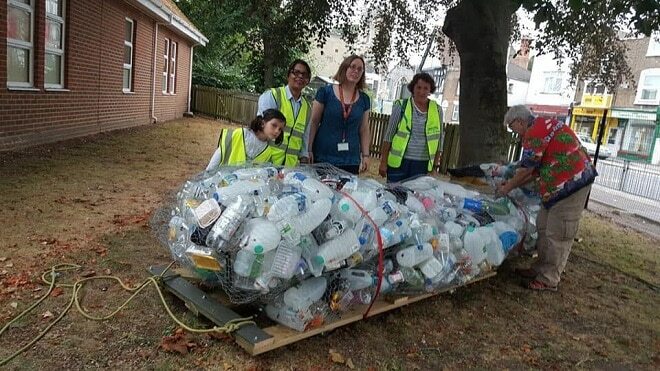 The whale has been made by pupils at Ellington Infant School using two weeks’ worth of household plastic waste. Some 61 youngsters contributed to the sculpture as part of a project about the environment. 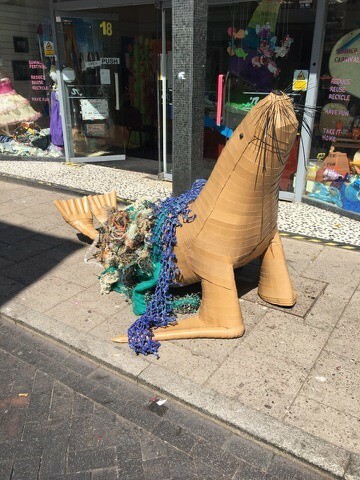 Members of Addington Street Community Group, Ramsgate Arts and Arts in Ramsgate, supported by Ramsgate Town Council and town team, Ramsgate Society and Charlton Athletic, will parade ‘Dilys Princess of Whales’ alongside a ‘rubbish seal’ made at AiR in Harbour Street. Both sculptures will be part of a float decorated with rubbish , including fishing line and rope, collected from Pegwell beach. The float and sculptures will also take part in the Plastic Is Not Fantastic Summer Parade in Ramsgate on July 29. Becky Wing, from the Addington Street Community group, said: “Addington Community Group and Ramsgate Arts have a float made 98% from rubbish. We heard about the Ellington Infants whale and went to see them about joining the project. “The message is that we have to do something about plastic waste. It is a serious message about loving your environment. Margate have their £15,000 polar bear, Broadstairs had the Sky whale and we have our Ellington whale made by pupils with love and concern for their environment. The carnival parade on Sunday sets off at 4pm from Royal Esplanade and circuits the town St Augustine’s Road; Paragon; Royal Parade; Harbour Parade; Madeira Walk; Wellington Crescent; Plains of Waterloo; King Street; Queen Street; Westcliff Road; Grange Road and back to Royal Esplanade. The Summer parade on July 29 leaves from Argos in the town at 5pm. The parade is funded by Ramsgate Town Council and has the theme Plastic is not fantastic! 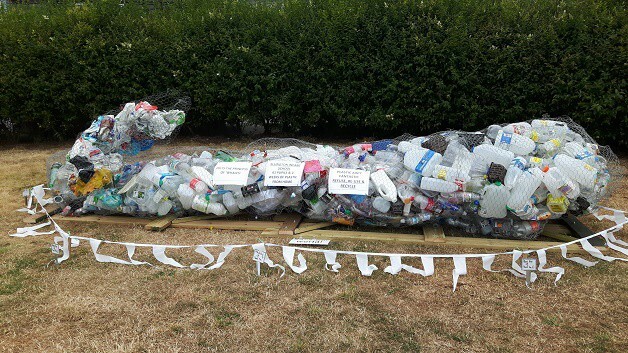 Ramsgate Town Team is joining Arts in Ramsgate, Addington Street Community Group, Ramsgate Arts and local schools and groups to create things made of discarded plastic found around the town and beach. Newington Community Centre, Tuesday,July 24 from 5pm-6.30pm and Glo Hub, Brunswick Street, Wednesday, July 25 from 5pm-6.30pm for children aged 7-12. There is also be an opportunity to pick up instructions and kits from AiR (Arts in Ramsgate), Harbour Street, to make sea crabs and turtles at home and bring them along on the day! If they want correct Welsh spelling, they should swap their i and y. Apart from that, a splendid communal effort by Ellington Infants! Lol, how I originally had it. I think I’ll swap it back!